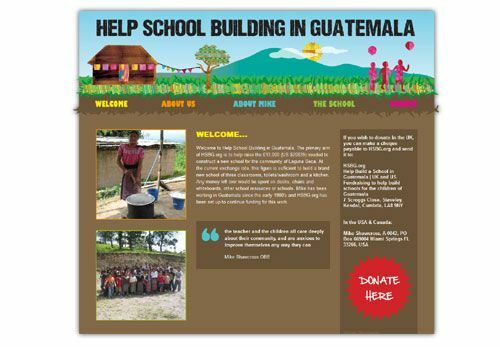 Designworks are pleased to support Help School Building in Guatemala by designing and programming their website. HSBG.org has been set up by Mike Shawcross OBE and Scott Mitchell who aim to raise £13,000 to construct a new school for the community of Laguna Seca in Guatemala. Mike received his OBE this year in recognition of the clean water supply & education projects that he has been running in Guatemala since 1979.